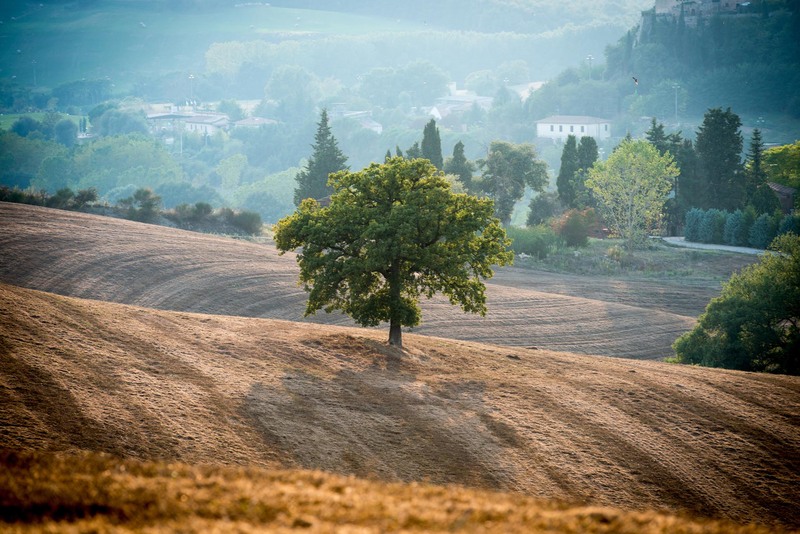 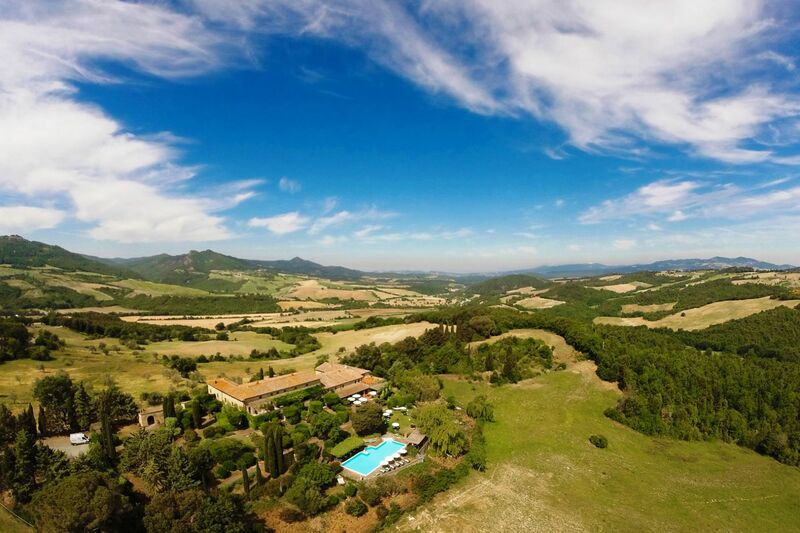 On the beautiful Sienese hills of Valdelsa, in panoramic position, state-of-the-art organic wine estate and agriturismo. 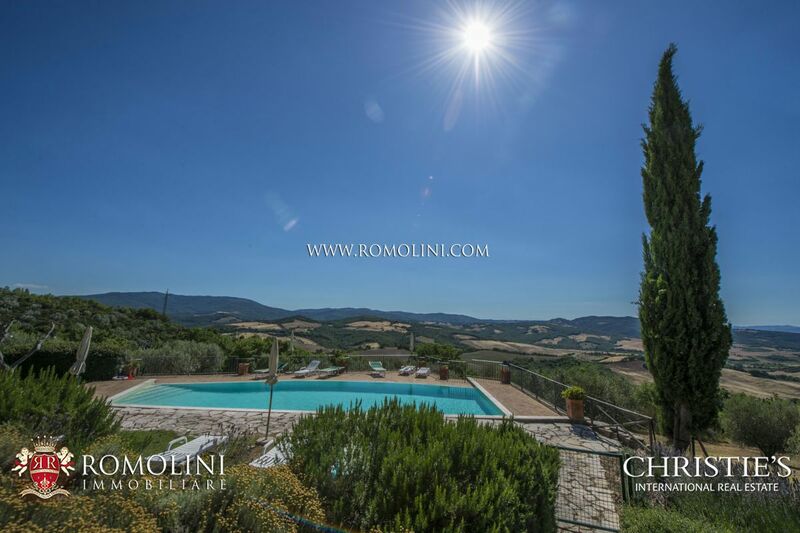 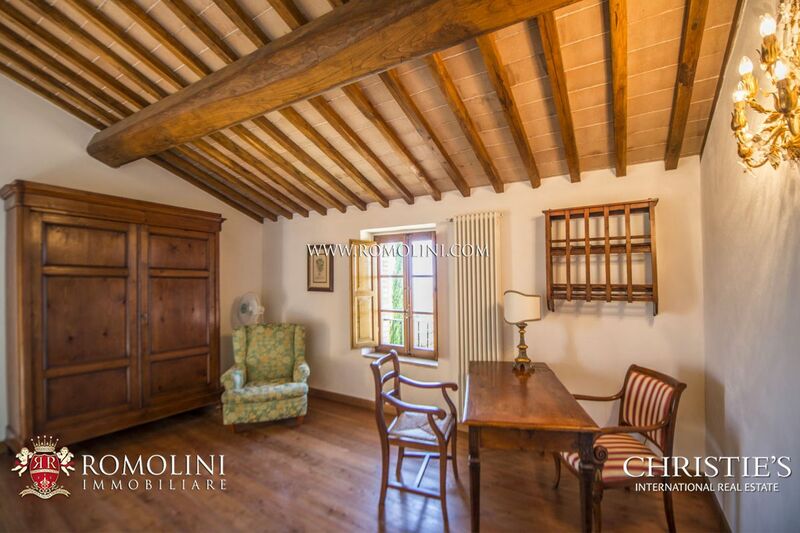 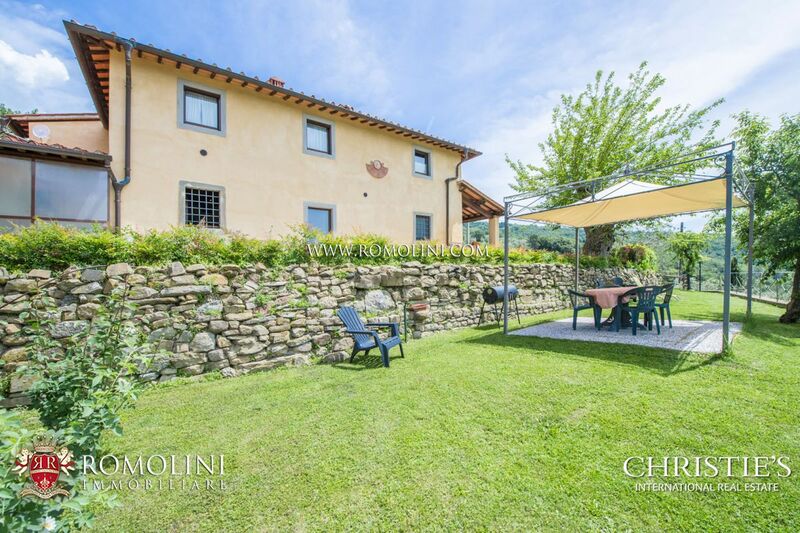 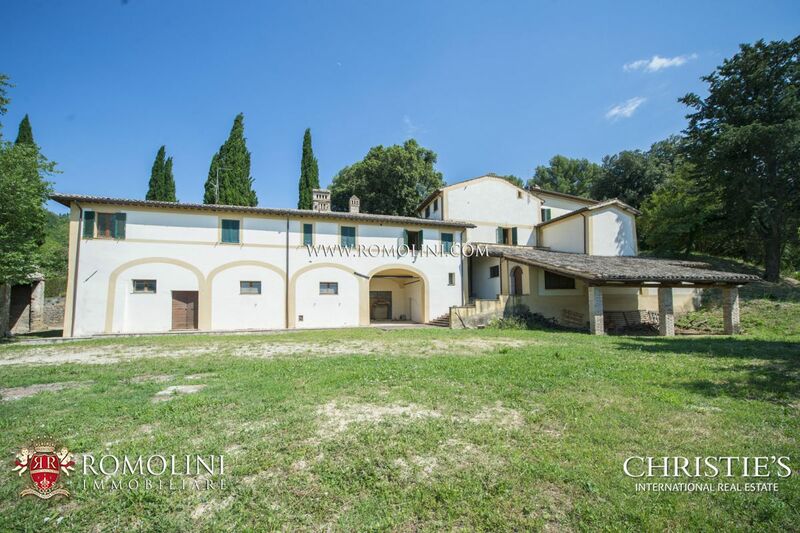 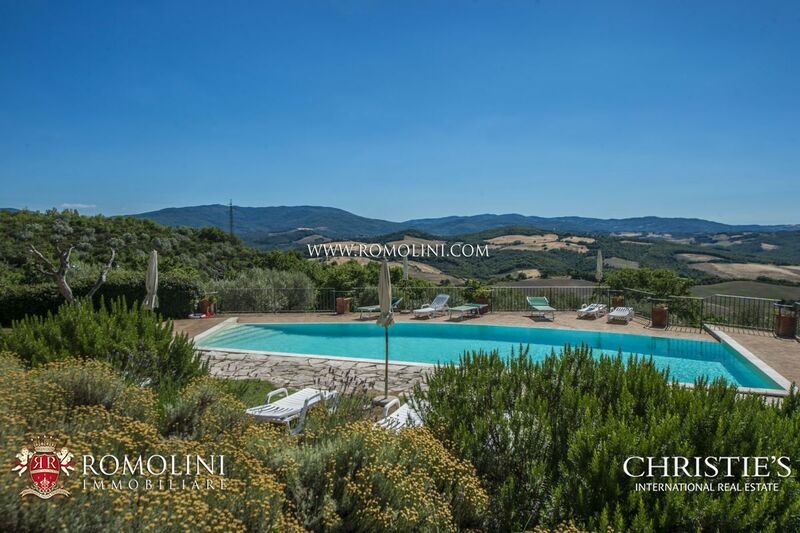 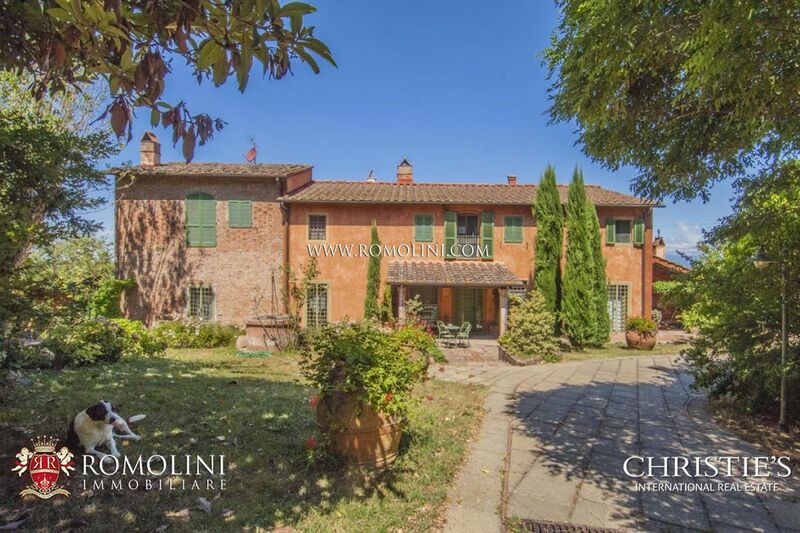 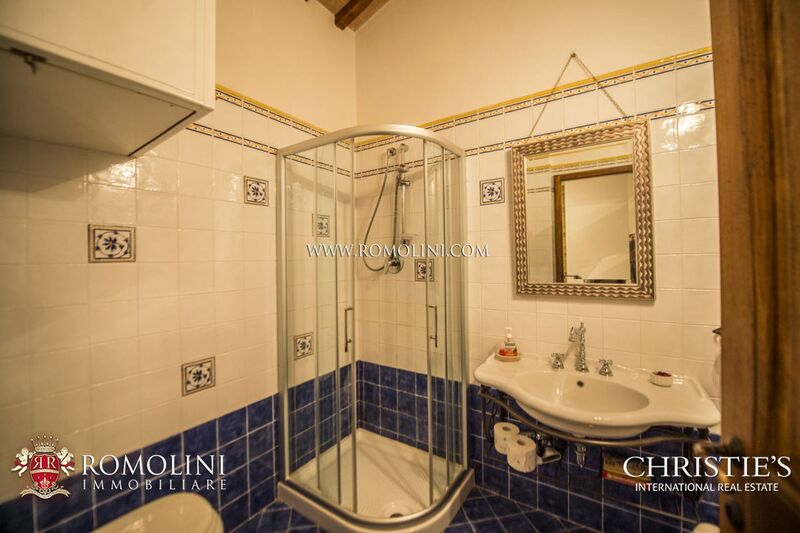 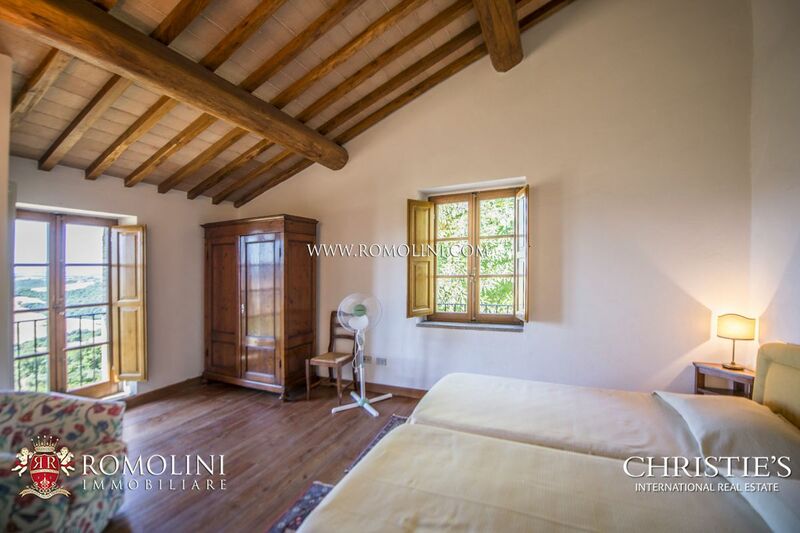 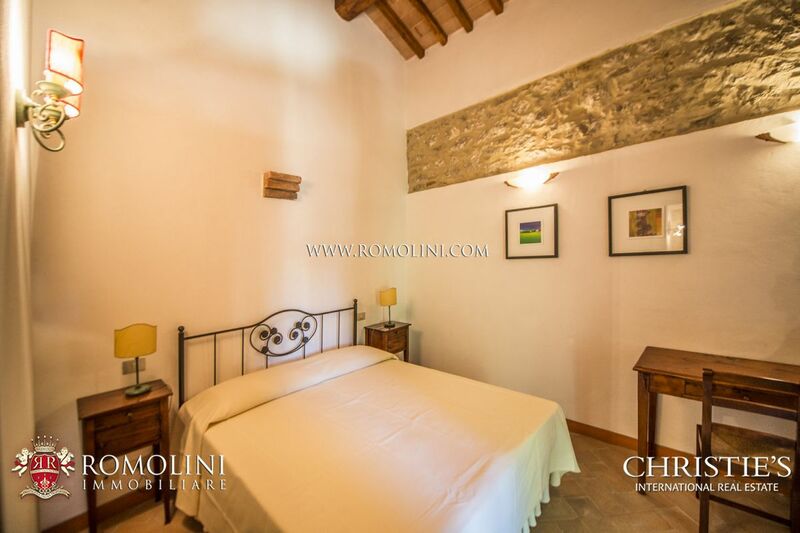 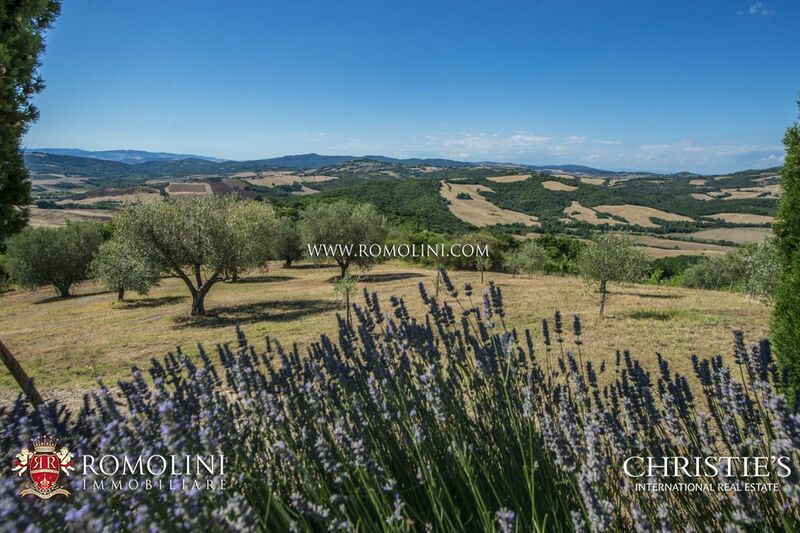 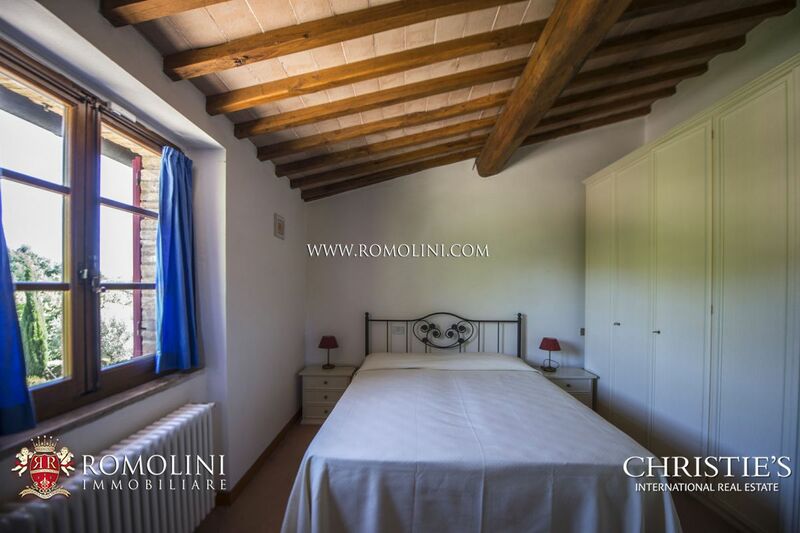 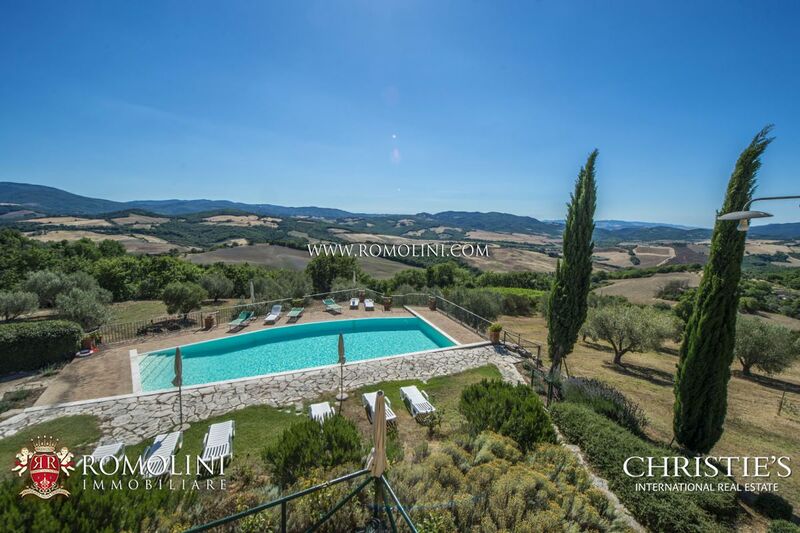 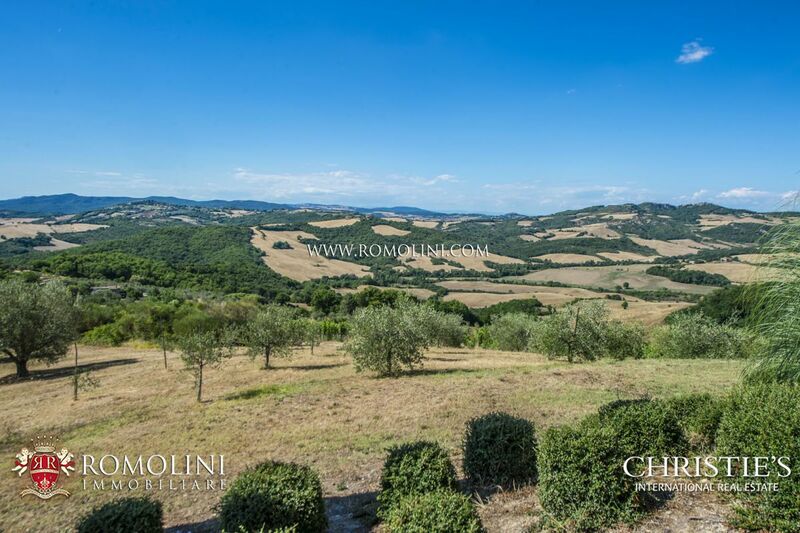 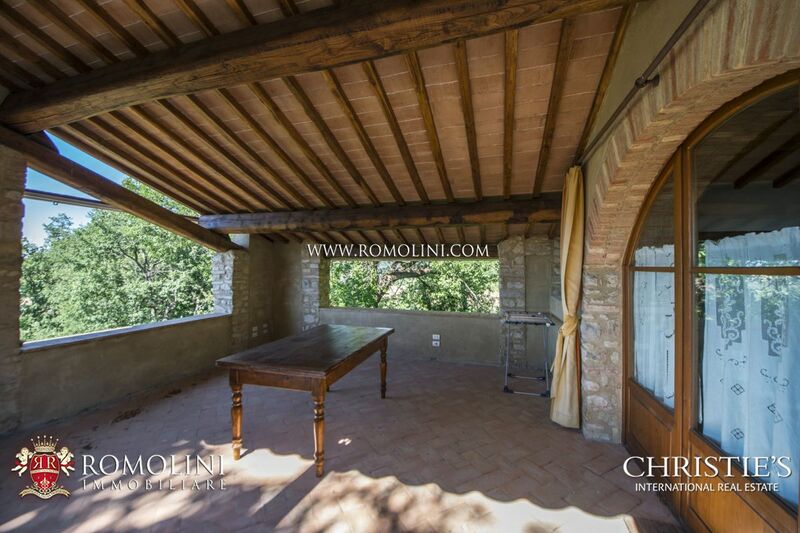 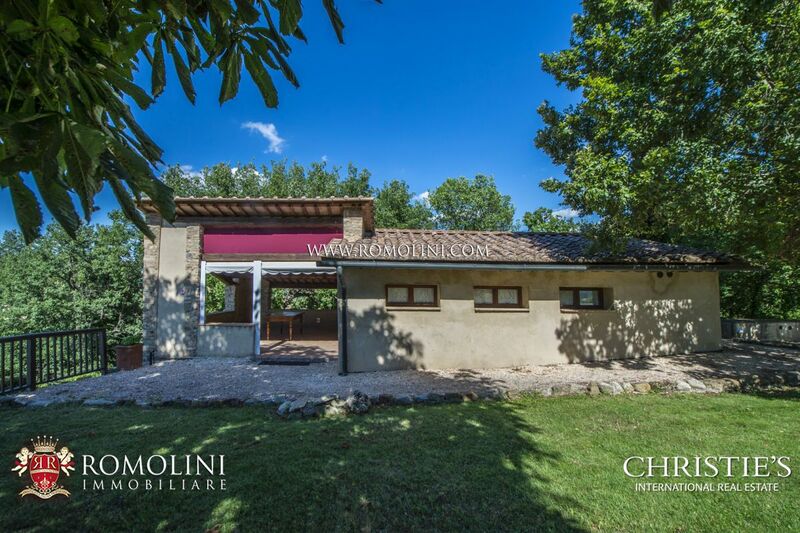 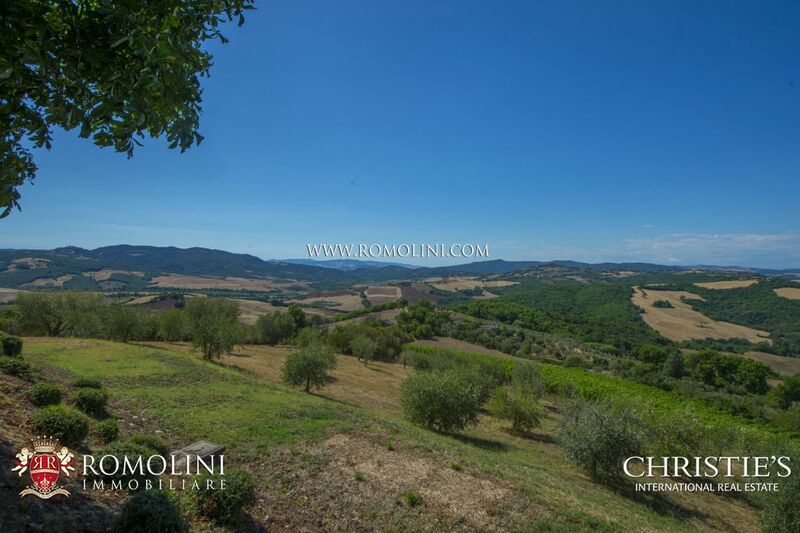 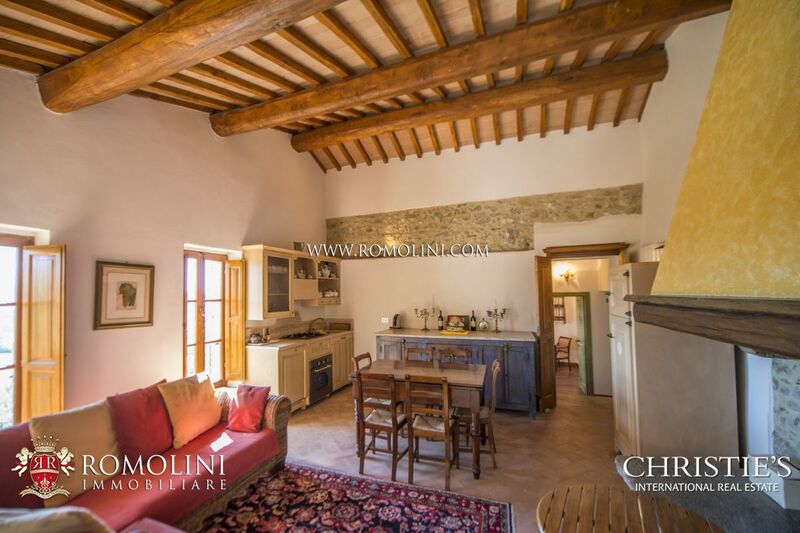 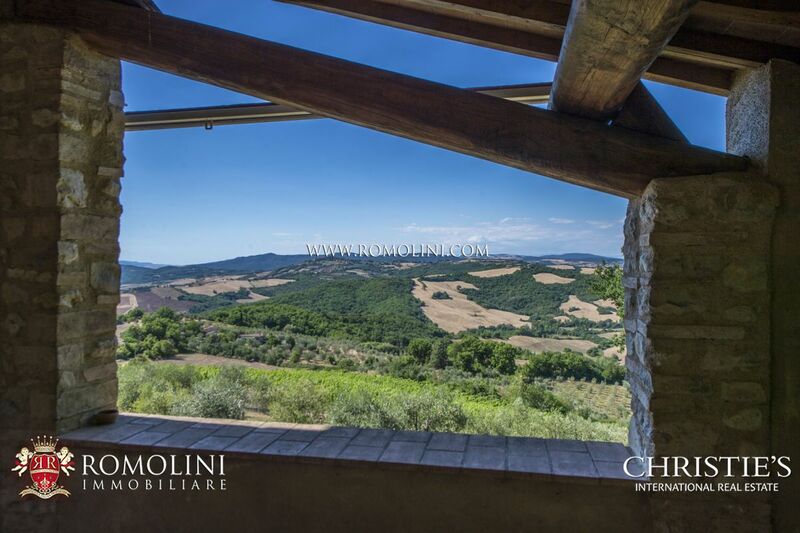 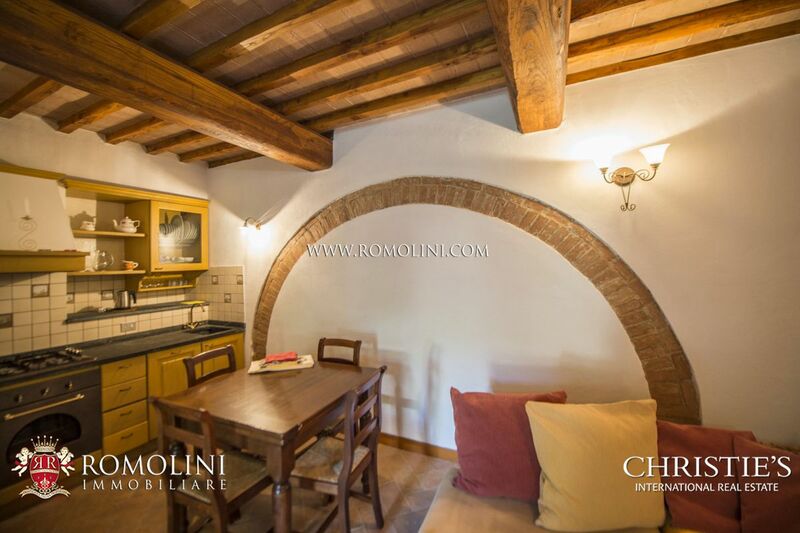 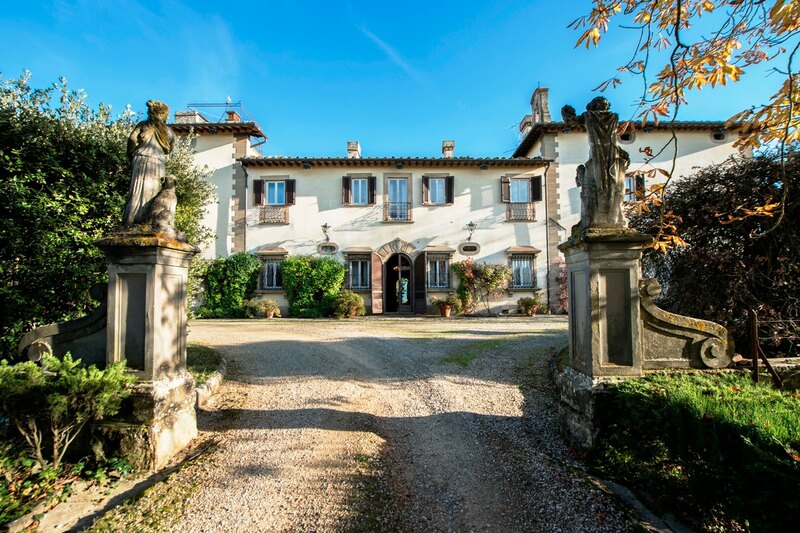 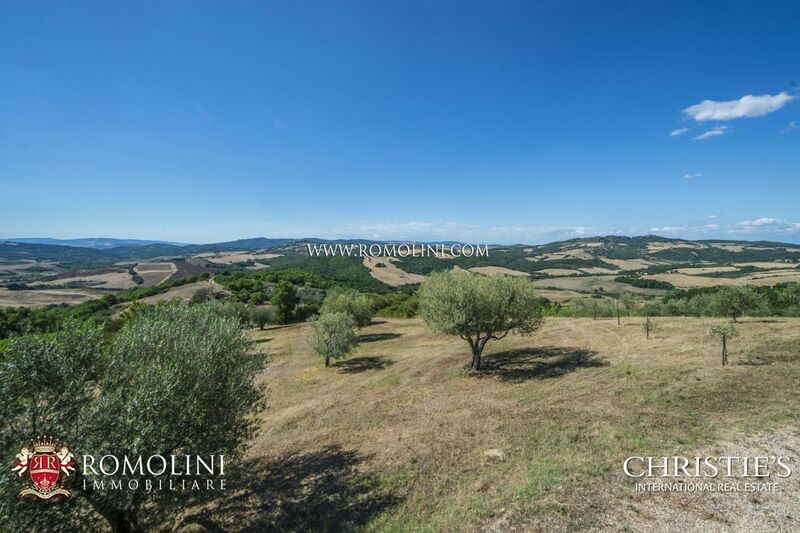 Easily reached and close to a town offering all the necessary services (2km; 10’), this property is located in a spot which allows quickly reaching every corner of Tuscany: the hamlet of Monteriggioni (36km; 40’), the Etruscan Volterra (43km; 55’), the turreted San Gimignano (42km; 1h), the medieval Siena (51km; 1h), the wine town of Montalcino (78km; 1h 30’), the Renaissant Firenze (81km; 1h 25’) and the papal Pienza (118km; 1h 45’). 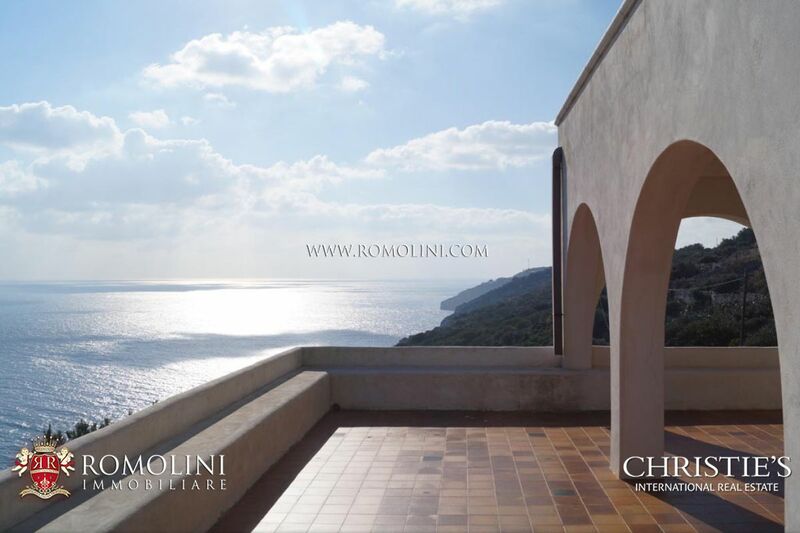 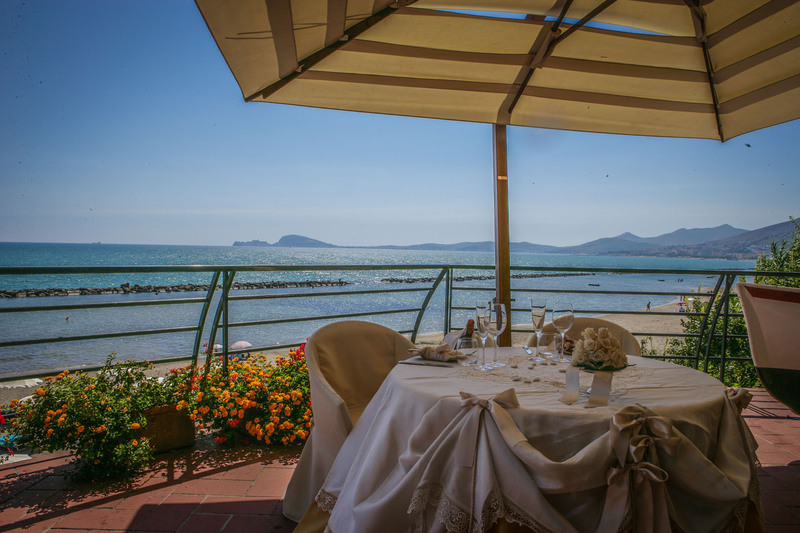 Even the beautiful sea of Tuscany is quickly reachable (1h 10’), since Follonica is just 63km away. 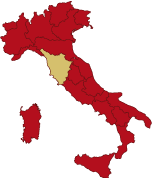 The most useful airports to reach the property are Firenze Peretola (91km; 1h 20’), Pisa Galilei (102km; 1h 55’), Perugia Sant’Egidio (158km; 2h), Roma Fiumicino (263km; 3h 5’) and Roma Ciampino (287km; 3h 10’). 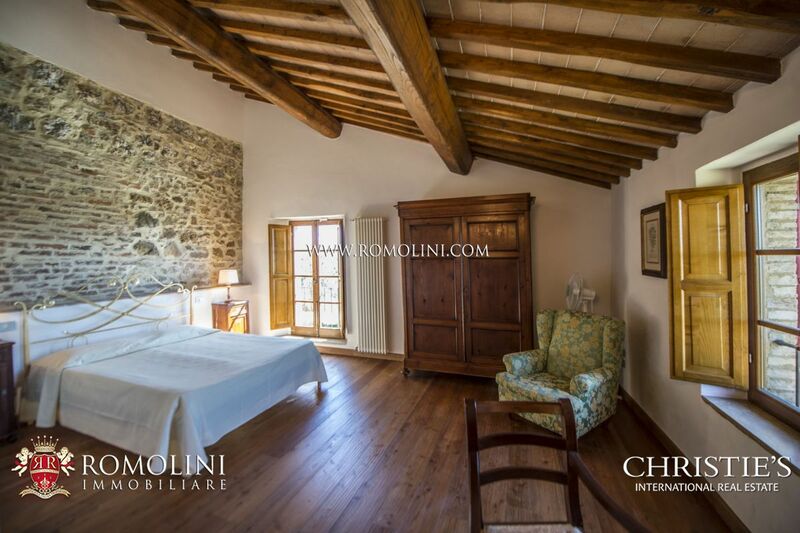 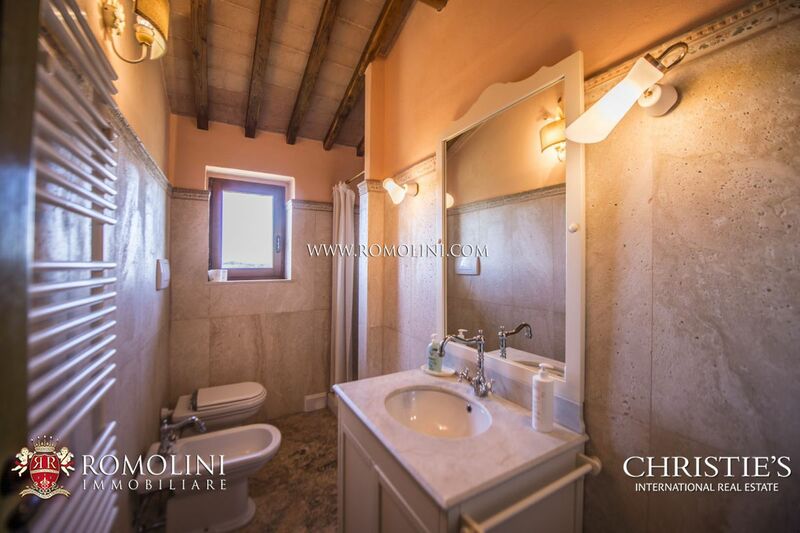 - Apartment N°4 (first floor): living room with kitchenette, 2 bedrooms and bathroom. 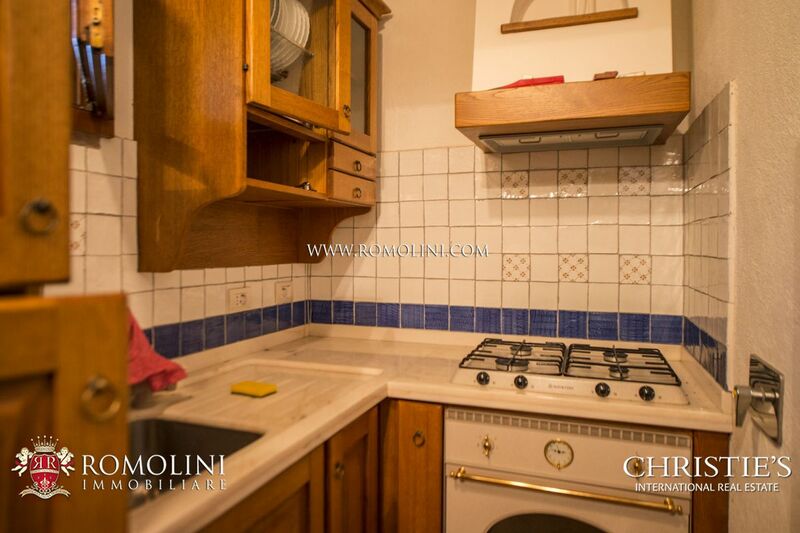 Currently, only three of the four apartments are rented out, while the fourth is reserved to the owners. 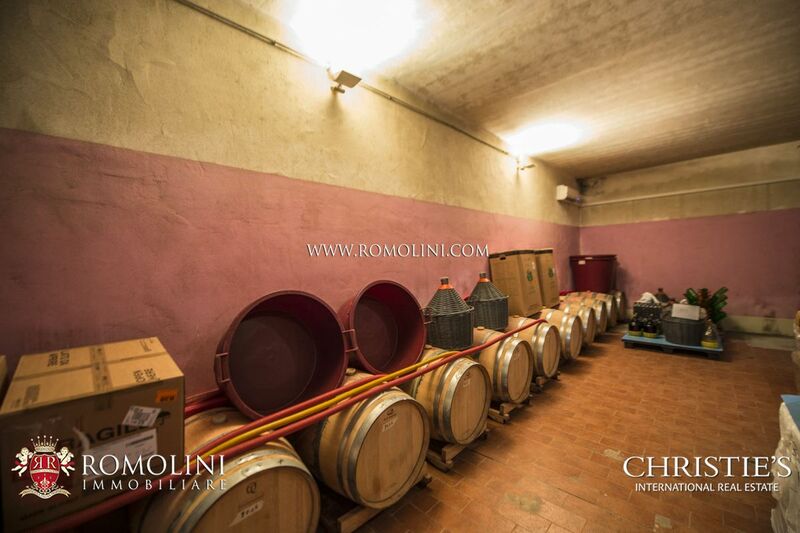 The cellar (210 sqm – 2,260 sqft) is located not far from the farmhouse and is fully equipped for wine production. 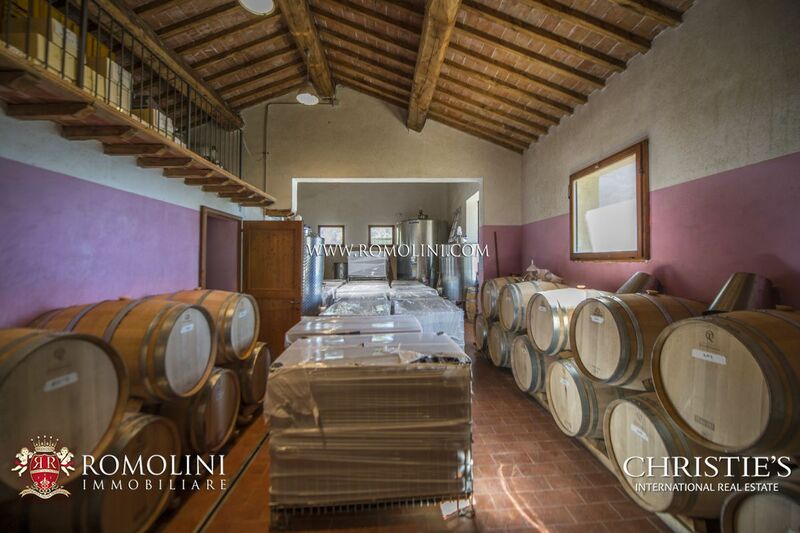 Finally, the storage room (75 sqm – 807 sqft) is located right next to the villa and is used to store wines and, if needed, as tasting room. 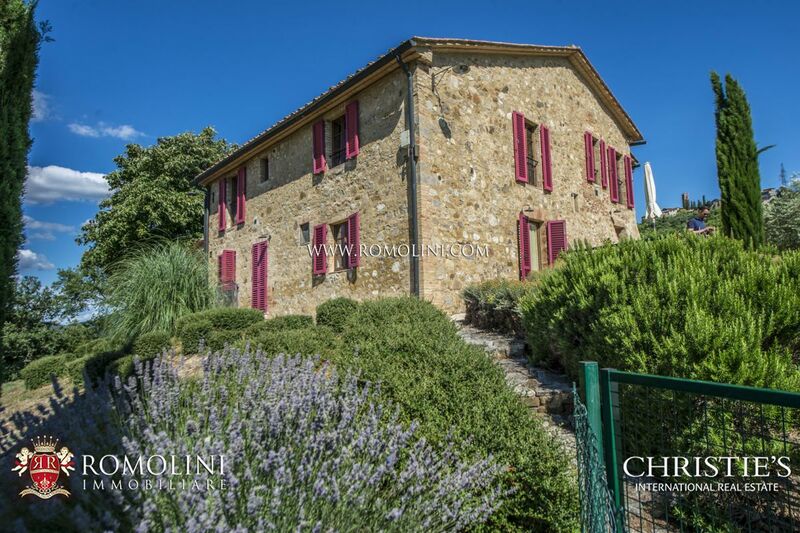 The property is located on a hill once hosting a medieval tower (11th century), whose remains are still identifiable in the farmhouse. 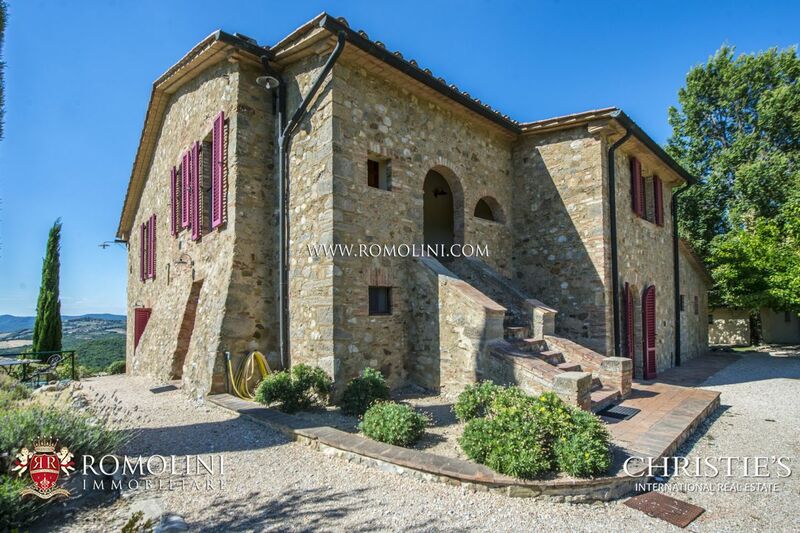 The farmhouse, built right on the remains of the tower, is located on the highest point of the hill and is characterized by stone walls on the outside (scanted on the lower part to recall the walls of the towers built to resist artillery shots) and typical elements of Tuscan farmhouses on the inside, such as wooden beams and terracotta floors. 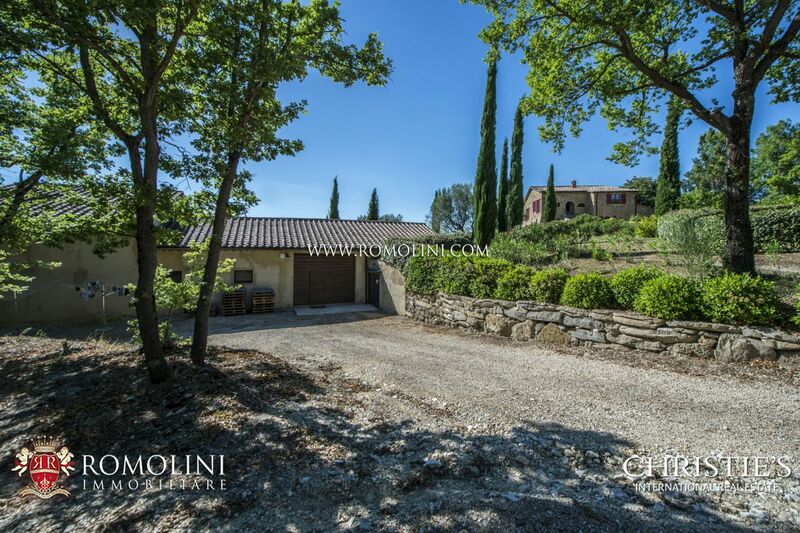 The land of the property (7 ha) is split among vineyard, olive grove and garden. 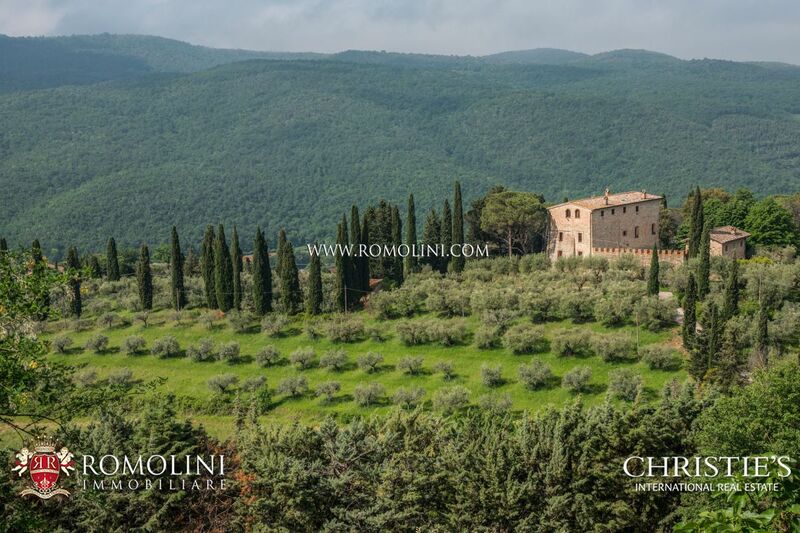 The garden covers the areas just around the buildings, while the vineyard is located north of the complex. 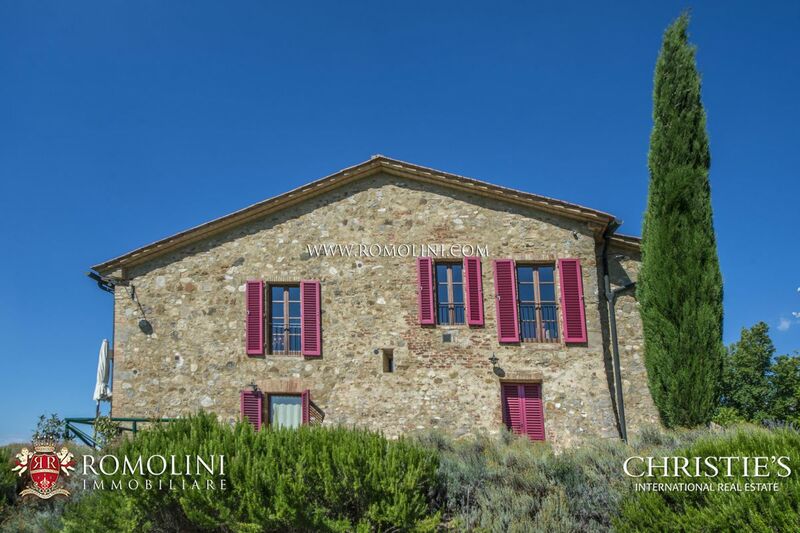 This vineyard (2.3 ha) is the heart of the property, granting the production of an excellent and well-known organic SuperTuscan IGT wine. 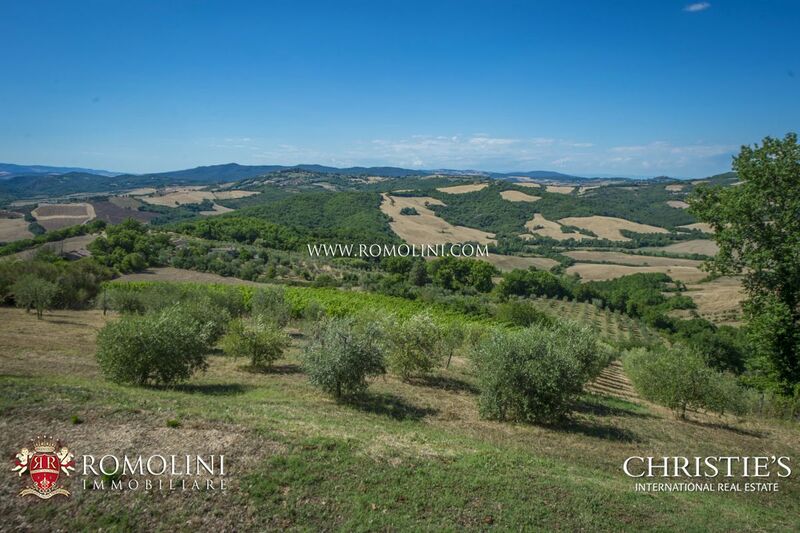 Finally, 3 hectares of olive grove (approximately 700 trees) grant the production of a nice quantity of oil. 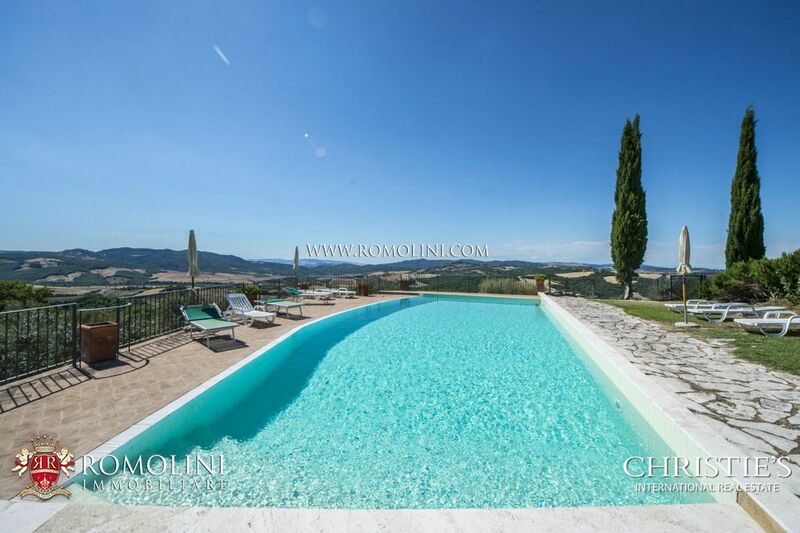 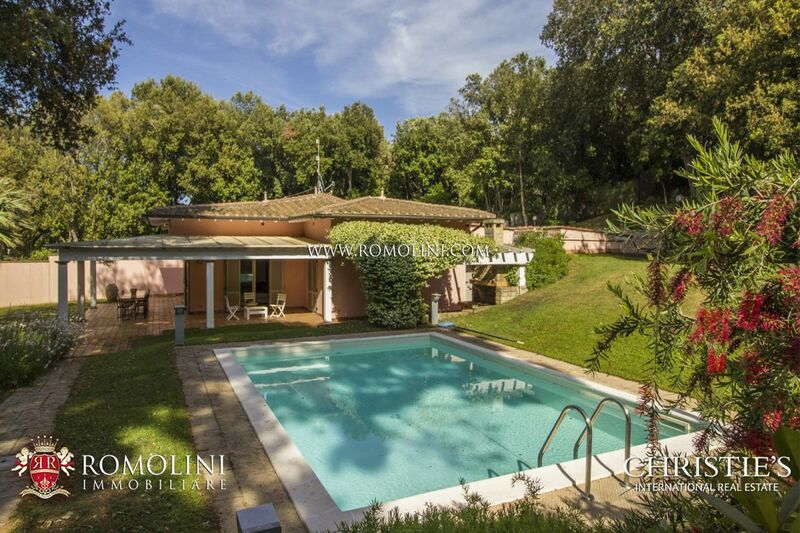 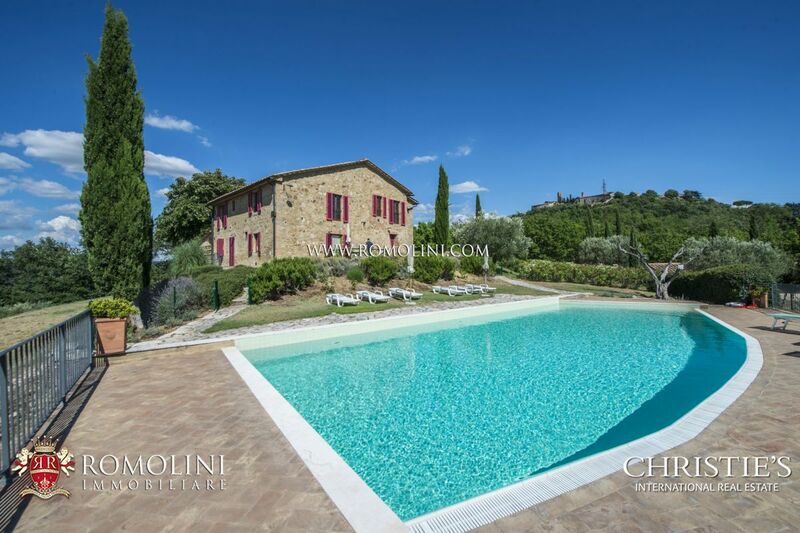 Not far from the farmhouse there is also the 15 x 6.5 m swimming pool with solarium. 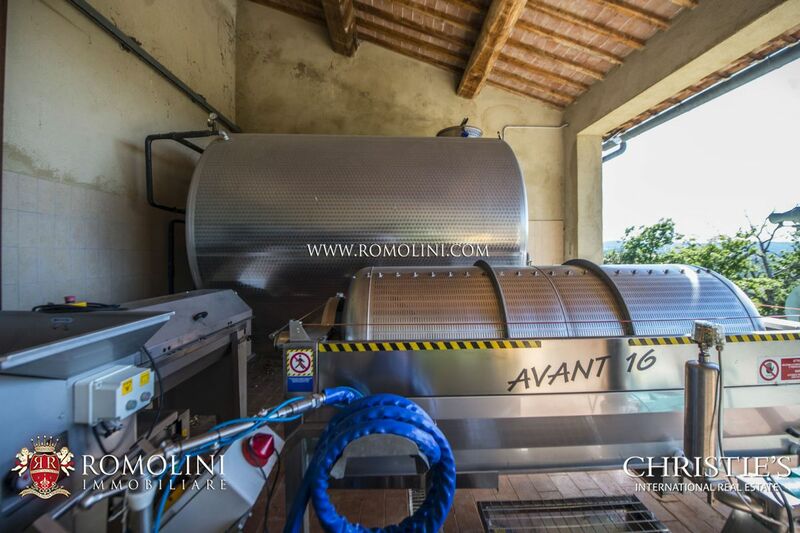 Produced wine, rigorously organic, was awarded excellent scores on the most prestigious reviews, among which L’Espresso Guide – Wines of Italy (16,5/20), the Yearbook of best wines of Italy (88/99) and the renowned guide Veronelli (88/100). 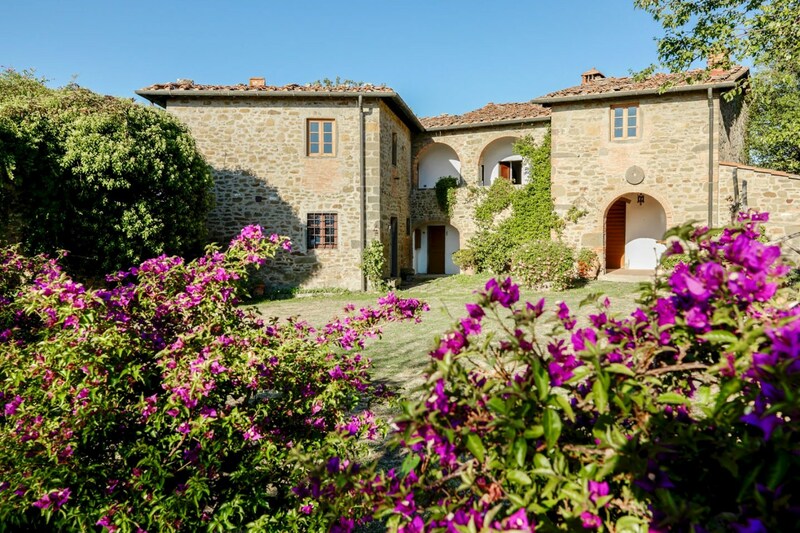 The property’s main focus is the production of wine, much renowned and appreciated even abroad, but three of the four apartments in the farmhouse are rented out regularly. 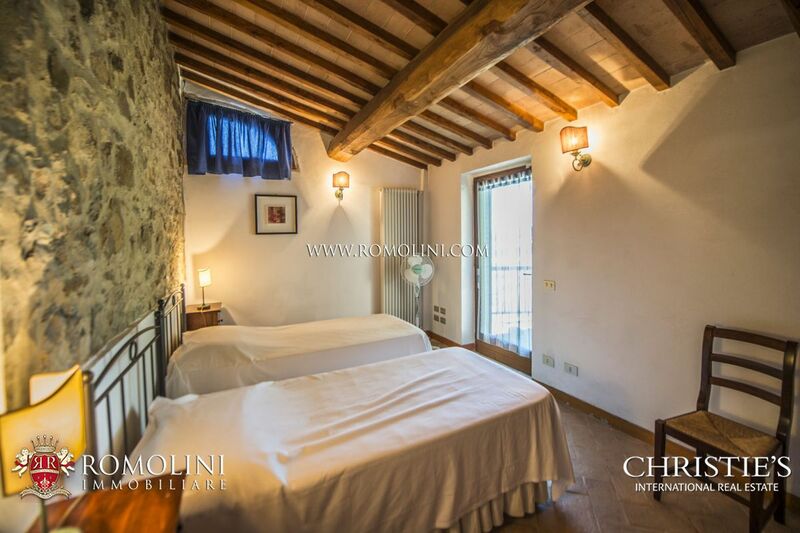 It is possible to change the internal layout of the building, merging the two apartments on the ground floor to have a nice master apartment and the two on the first floor to have a guest apartment accessible via an external stone staircase.